Changes made to the Federal Perkins Loan Program with the passing of an act through Congress last year on Dec. 17, will raise borrowing costs for students in the Class of 2020. The loan program, which would have expired on Sept. 30 last year, was extended through fiscal year 2016 with the passing of the Higher Education Extension Act of 2015. 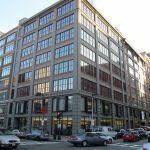 In addition to the program’s extension, new stipulations were made that mandate borrowers to first exhaust Federal Direct Loans before taking out a Perkins Loan, a type of federal higher education loan. 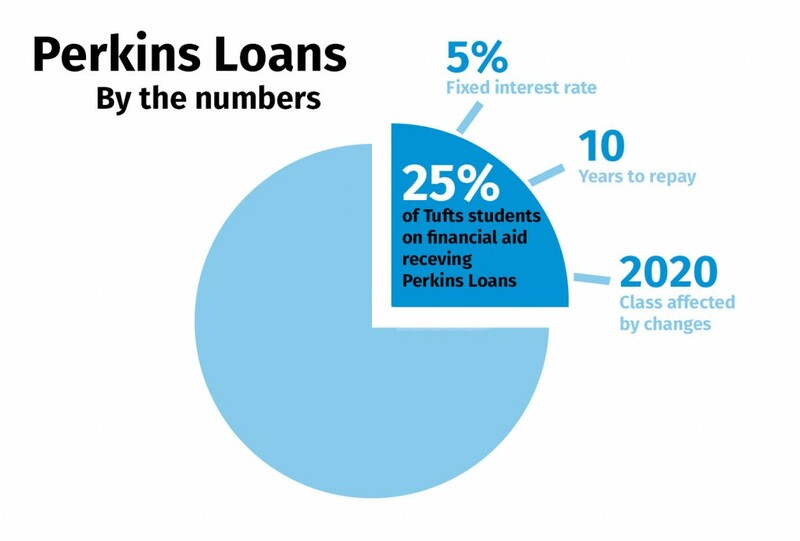 Perkins Loans, which are awarded to students with exceptional need at Tufts, offer benefits for students such as a fixed interest rate and a nine-month post-graduation grace period before students are expected to begin repayment, according to the Tufts Financial Aid Office’s website. As subsidized loans, Perkins Loans do not not accrue interest while students are in college. According to Director of Financial Aid Patricia Reilly, the act will not likely affect current Perkins Loans recipients, who make up 25 percent of the financial-aid receiving population of undergraduates at Tufts. 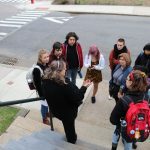 However, new students receiving loans in the Class of 2020 will have to borrow up to the limits of a Federal Direct Subsidized Loan and a Federal Direct Unsubsidized Loan before taking out a Perkins Loan. Reilly explained that before the changes to the loan program were enacted, the Tufts Financial Aid Office typically awarded eligible first-year students a Federal Direct Subsidized Loan, followed by a Perkins Loan, and would only award an Unsubsidized Loan if there was still a gap in meeting the student’s full demonstrated need. Reilly also said the Department of Education is very responsive and the ambiguity would most likely be resolved before her office begins awarding loans in May. She explained that the Financial Aid Office has not decided how it will finance students who would have normally relied on Perkins Loans. Reilly said that her office is currently talking with the Budget Center to discuss various potential solutions, including issuing more Tufts Loans, a need-based, institutional subsidized loan, and increasing the amount of grant money for students in need. She said the university may attempt not to regularly award Perkins Loans to first-years in light of the program changes. “My guess is that we won’t be giving many Perkins Loans to [first years] because the only way we can do that is if we first give them an Unsubsidized Loan and we don’t think that’s a very good idea,” Reilly said. Reilly said that her office will know more about how it will handle a decrease in Perkins Loans in the spring when accepted students receive their financial aid packages. 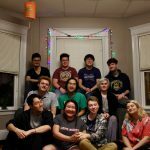 However, replacing Perkins Loans with Tufts Loans would increase the cost of borrowing for students, as Perkins Loans have a fixed interest rate of five percent, compared to seven percent for Tufts Loans, according to the Tufts Financial Aid website. Additionally, borrowers have 10 years to pay back a Perkins Loan but only five years for a Tufts Loan. 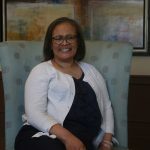 Loan Manager Patricia DeVellis, who works with other financial specialists to disperse and collect student loans, including Perkins Loans and Tufts Loans, said the Perkin’s Loans have special provisions that help borrowers pay back their loans in times of financial hardship. 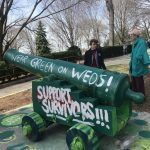 “I think [the Perkins Loan is] much more user-friendly to the population of students,” DeVellis said. Although the new provisions restrict the amount of aid the Financial Aid Office can award students through the Perkins program, Dean of Admissions Lee Coffin said that the changes in the loan distribution process will not affect admissions decisions. 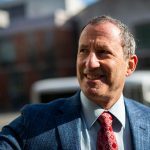 “The changes to the Perkins Loans will not have any impact on Tufts’ admissions process,” Coffin wrote to the Daily in an email. The loan program changes will also affect graduate students. Even though graduate student borrowers who received a Perkins Loan prior to Oct. 1, 2015 can continue receiving the loan until Sept. 30, 2016, the final stipulation of the Extension Act makes graduate students ineligible for Perkins Loans, according to the legislation. Reilly explained that the Financial Aid Office will help graduate students make up for this loss by awarding larger Graduate PLUS Loans. Unlike Federal undergraduate loans, which set a limit on the amount a student can borrow, Graduate PLUS loans allow students to finance up to the full cost of the education. “This Grad PLUS program has almost a seven percent interest rate so it’s not as good a deal, but at least they’re not going to be short of money,” Reilly said. According to Reilly, the extension of the Perkins Loan Program is a temporary fix as student and financial aid professionals wait for the mandatory reauthorization of the Higher Education Act. The Higher Education Act was extended through 2015 and Congress will likely include issues of college affordability and access, according to the American Council on Education website. The amendments to the Perkins program stipulated in the Extension Act stem from an effort by Senator Lamar Alexander (R-Tenn.) to simplify student loan programs overall and to transfer funds spent on Perkins Loans to Pell Grants for needy students, as described in a Sept. 30, 2015 Washington Post article. According to Harrison Wadsworth III, the executive director of the Coalition of Higher Education Assistance Organizations, an interest group who led an initiative to save the Perkins Loans program, Alexander was the main force behind the changes to the program. This compromise involved some of the loan’s new restrictions, he said. Rep. Katherine Clark, a co-sponsor of the extension bill, said many senators fought for the Perkins Loans program. However, Alexander’s push towards simplification may be characteristic of trends in higher education federal loans, according to Reilly. According to Reilly, these changes could bring a replacement of the Perkins program, altogether.